The whole world is aghast at the premeditated, gruesome murder of journalist Jamal Khashoggi in the Saudi Consulate in Istanbul. In the face of outraged public opinion, even the staunchest supporters of Prince Mohammad bin Salman are reluctant to mute their protest. But in Naya Pakistan it is business as usual with the Saudi Royals. There hasn’t been a squeak from official quarters. On the contrary, our state institutions and government seem to be tripping over themselves to bow and scrape before the Saudis. But if truth be admitted – and human rights, press freedom, fundamental rights be damned – the cost of censuring MbS may prove to be painful for Pakistan. Consider. Prime Minister Imran Khan claims that previous governments bankrupted the exchequer and drowned the country in debt. He admits we are in “desperate” straits. But he is averse to taking new loans to pay off old loans. Instead, he wants to replenish the coffers by plugging corruption, arm-twisting the Richie Rich to cough up, and incentivizing overseas Pakistanis to increase remittances and invest in their home country. Unfortunately, however, the dice is loaded against him for any quick fixes. Rooting out corruption is a long-term problem because state institutions and politicians, including those who form the influential core of the PTI, are wading in it. By and large, too, the rich are ensconced in safe havens and the arm of the law is neither strong nor long enough to flush out their money. Nor have Overseas Pakistanis shown much enthusiasm in the promise of a “Naya Pakistan” in view of the stumbling U-Turns taken by the new government which have eroded trust and confidence in its ability to set things right. There is a powerful sense of déjà vu in this situation. It’s back to the failed formula of roaming the corridors of “friendly” governments and loan-giving agencies like the IMF, World Bank, Asian Development Bank, begging bowl in hand. Every past government, civil or military, has accused its predecessor of bequeathing it a bankrupt economy and sought quick fixes like the present one is doing, without much success. Indebtedness is the pivot of the global capitalist system. According to the IIF, $68 T, the largest chunk of debt, belongs to non-financial companies. The next biggest borrowers ($63 T) are governments around the world. Financial institutions have borrowed $58 T, and finally, households have run up a debt of $44 T. The top four indebted countries in the world are the US ($14.6 T or 92% of GDP), China ($5.7 T or 19% of GDP), Japan ($5.4 T or 226% of GDP) and Germany ($3.3 T or 75% of GDP). But these are also the powerhouses that drive the global political economy! The only countries not in debt are Macau, British Virgin Islands, Brunei and Liechtenstein. So debt per se is not the problem. The issue is a country’s ability to repay the debt and then have some left over for the welfare of the people by investing it in productive activity instead of squandering it in wasteful expenditures and consumption-inducing corruption. The relationship of debt with assets/reserves is also critical in reckoning its relevance for finance managers. Thus China ($3.1 T), Japan ($1.2 T), Switzerland ($0.8 T), Saudi Arabia ($0.5 T) and Russia ($0.45 T) are leading the table of forex reserves. Seen in this context, Pakistan’s external debt is $95 B while its reserves are barely $8 B and its trade deficit is about $40 B, which means it is in a precarious default situation. The Kingdom of Saudi Arabia (KSA) has agreed to give Pakistan a short one year deposit of $3 B to shore up its reserves. But this deposit is only meant to build confidence in our ability to pay our immediate debts and will exit our system after twelve months unless renewed. In addition, KSA will sell us $3 B worth of oil every year for three years on 12 months’ credit. This means we shall receive a loan of $4b in Year One which must be paid back after twelve months, and $3 B in Year Two and $3 B in Year Three which also must be paid back after each twelve-month period. This is a drop in the ocean. Therefore we have to go to the IMF for a bigger package just to keep our head above water. The punch line in all this is that we must hold our breath, tighten our belts and submit to the donors’ political and economic conditions, an unpopular prospect. This objective can only be achieved if Imran Khan stops tilting at windmills. 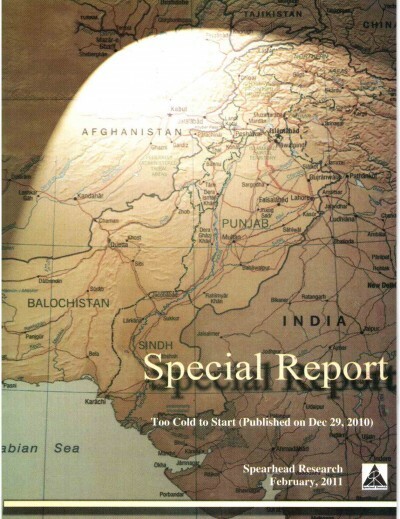 The cold reality is that he must assemble a credible team of managers, motivate the bureaucracy, stop witch-hunting, cobble a minimal political consensus on strategic national objectives, cut down non-productive expenditures, privatise loss making public sector enterprises, etc., — the list of dos and don’ts is long. Unfortunately, sound and fury apart, there is not much to go around. Time and tide wait for no man.